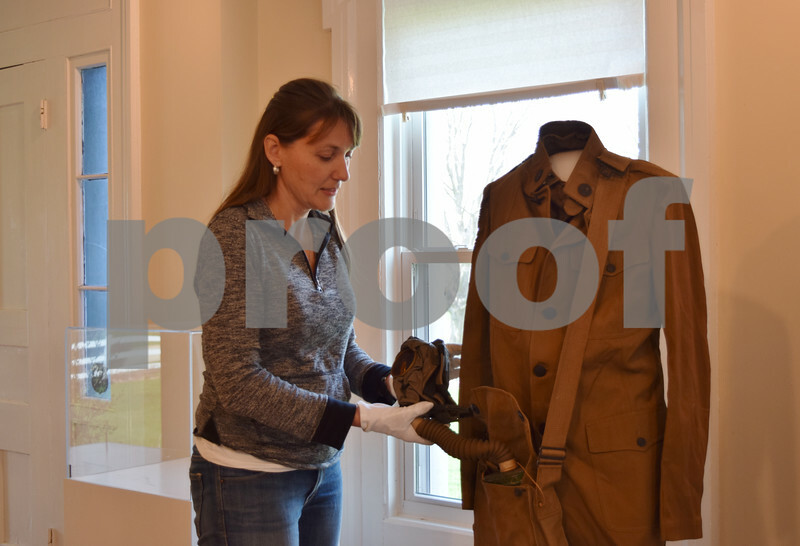 Michelle Donahoe, the executive director at the Sycamore History Museum, 1730 N. Main St. in Sycamore, adjusts the gas mask on a World War I uniform. The museum's new exhibit, "Adventures To and From Sycamore," tells the stories of people from Sycamore, the interesting places they have traveled and how they either came to live in or came to leave Sycamore. The exhibit will have four themes: education, immigration, exploration and military.